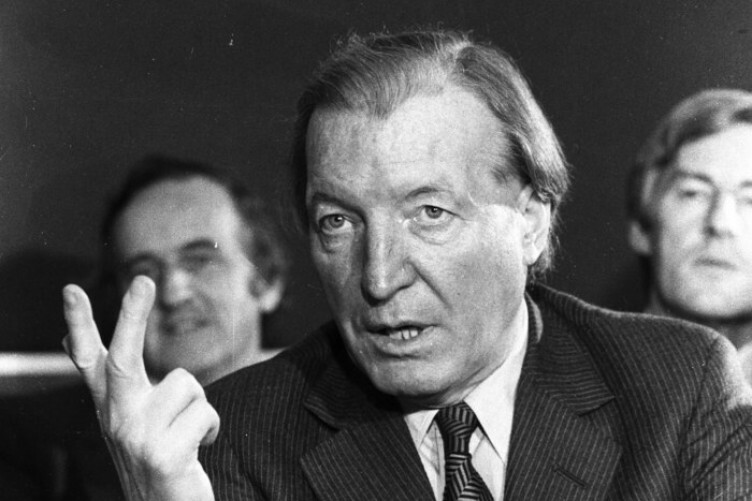 My best memory of Charles J. Haughey? Probably of him hanging from the monkey bars in Donneycarney primary school, singing the theme from the Lone Ranger. It was 1982, and Haughey was facing a motion of no confidence from the parliamentary party. It’s hard to imagine another Irish leader preparing for a major political battle in such a fashion. But then Charlie was never ordinary. Even on our first day at school he stood out from the other boys, decked out (as he was) in the dazzling capote de paseo of a Basque Country matador. In the hothouse atmosphere of St. Joseph’s C.B.S., Charlie made an instant splash. He and his pals Donagh O’Malley and Brian “Freckles” Lenehan were dubbed the “boys in mohair shorts”. They were a new breed of schoolboy – intelligent, flamboyant and openly contemptuous of homework. And their exploits became the stuff of legend. They were, amongst other things, the first to use the phrase “Its all fun and games until someone loses an eye” in the modern, ironic sense. They were heavily criticised for this at the time, but that usage has since become standard. Of the three, Charlie was always the star. He was a boy unlike any other – one people either loved or hated, but one to whom animals remained curiously indifferent. Sure, he always had a dark side. At Mass, he’d offer you the sign of peace. But when you shook his hand it was covered in hocked-up phlegm he had secreted there in advance. Some attribute his strained relationship with Margaret Thatcher to such a prank at a British-Irish Summit, although that has been vigorously denied on all sides. During school holidays, Haughey and I earned pocket money working as window cleaners. We were hired by a Mr Flanagan for the princely sum of two and six pence a week. That later rose to four and eleven pence a week and, later again, to three deutschmarks and a set of novelty paper hats. The window cleaning establishment was always suspicious of Charlie. They resented his habit of scrubbing glass in concentric circles (instead of the more traditional “up-and-down” method). But it earned him a reputation as a modernizer, and that brought him to the attention of local party bosses. We didn’t see as much of Charlie after he entered politics. But, for a while, it seemed he could do no wrong. Then came the Arms Trial. I remember Mr Flanagan telling Charlie that his old window cleaning job was still there if he ever wanted it back. But Charlie declined. He feared that window cleaning might be construed as a step down, after having been Minister for Finance. That was his pride for you. He did, however, briefly take on a paper round in this period. What’s often overlooked in the coverage since his death is Haughey’s enduring love for penny sweets. If you met him he’d always ask “Do you have any penny sweets?” or “Can you get me any penny sweets?” As his star rose again, in the late 1970s, he took to carrying bags of penny sweets around with him wherever he went. No one ever asked where all these penny sweets were coming from. That was our naivety, I suppose. Our paths did cross occasionally in later years, and he always made a point of asking after my wife Eileen and our children. Actually, Eileen and the kids died in a house fire many years previously – as Charlie knew well. But that was his sense of humour for you. I suppose you could say the old devilment never left him. A month since he died, it’s still hard to believe that he’s gone. Charlie had always said he’d bury us all. And, at our last meeting, I paid him a hefty deposit. Charlie… Boss… we will not see your like again!